As I'm sure you already know, seeing as how you're reading this article, there's a revolution going on right now in HD TVs. HD has actually gone a step further in the last few years and what we're dealing with now is the next generation. The best modern TVs are blessed with 4K resolution. Massive advancements in technology are affecting a whole lot of industries. Most relevant to you at this very moment probably, are the film, television and gaming industries. All three of these are taking full advantage of the modern technological capabilities and are producing some of the most visually stunning content we've ever seen. The best way to experience this 4K content is through a 4K TV. On a budget? There are some great 55-inch 4K TVs in our review of the top 55-inch TVs under 600 dollars! Which 55 Inch 4K TV is Right for You? 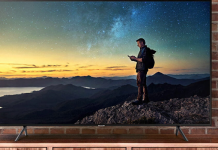 There are quite a few different electronics companies producing 4K resolution 55-Inch TVs, so let's have a look at 10 of the best ones and see which one is right for you. If you're after something bigger, see our review on these highly-rated 65 Inch 4K Resolution TVs. A stunning full-array LED screen. Fast moving scenes will be fluid Clear Action 180. A variety of inputs including 4 HDMI ports. High Motion Rate of 240. Samsung OneRemote will keep you connected. PurColor technology makes every color pop. Upscaling Picture Engine so even old school stuff looks great. Curved with an Auto Depth Enhancer, as immersive as can be. We're starting this list off with a bang. Our Top Pick is this phenomenal UHD TV from VIZIO. You can expect an outstanding picture from this LCD TV. It's got a Full-Array LED Screen, which means that there is a grand total of 10 Active LED zones controlling the screen's color. This allows for every image no matter how bright or dark to be as clear and lifelike as possible. The contrast ratio is stunning, you will be blown away by the immersive capabilities of this picture. Motion Rate 120, with a system known as Clear Action 180 which is one of the smoother models for a 4K Ultra HD TV with relatively low Motion Rate like 120. The Smart TV platform offered is VIZIO Internet Apps Plus which makes every app easily accessible from the TVs Smart home menu. + A stunning full-array LED screen. + Fast moving scenes will be fluid Clear Action 180. + A variety of inputs including 4 HDMI ports. Why We Liked It - Theres nothing at all to complain about really. 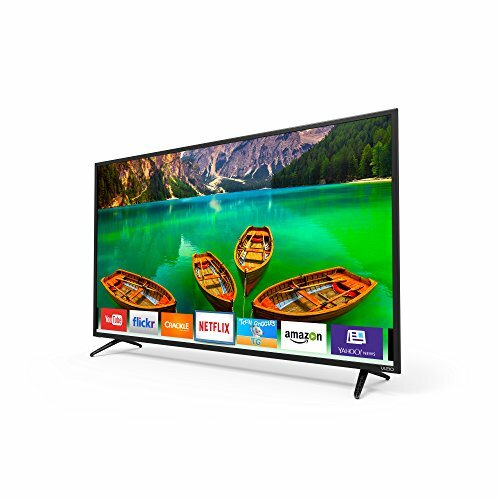 This 4K Ultra HD 55-inch TV has incredible picture quality and very easy-to-use smart features. 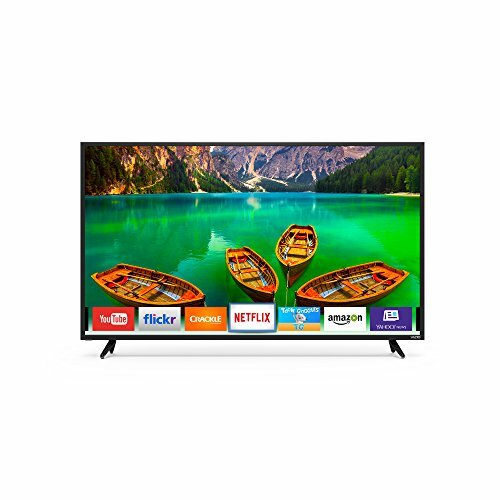 As our editors choice winner - this 55 Inch TV is great for any home theater. Fancy a bigger screen? We have reviewed the top 60-inch 4K TVs here. You knew Samsung was bound to be somewhere pretty high on this list. Its not hard to see why when theyre producing incredible TVs like this one. 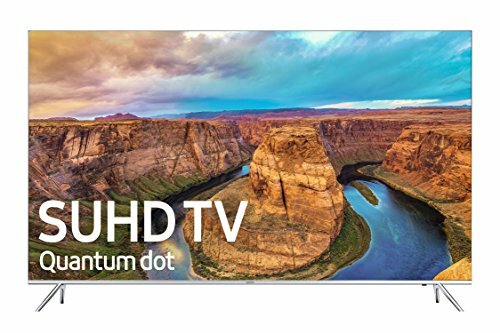 Premium UHD HDR is the system this operates with, which actually has a billion more shades than the standard 4K UHD models. A massive step up even from the best products on the market right now. Its HDR too and theres also a specific feature here called Triple Black which makes even the darkest scenes detailed and immersive. Very high Motion Rate of 240. Youll never have to worry about how the picture will handle fast-paced action scenes. This is the best, most fluid refresh rate that you can get. The screen is curved which adds depth to the images and if thats not enough theres an Auto Depth Enhancer on top of that. And of course, like most 4K resolution Samsung TVs, this is Smart and it comes with the useful Samsung OneRemote. + High Motion Rate of 240. + Samsung OneRemote will keep you connected. Why We Liked It - In terms of these 4K Smart TVs, this Samsung model has one of the most complete pictures available. Everything looks spectacular on this screen. So yet again from Samsung, weve got another tremendous picture. UHD is exactly what youll want for high-quality viewing and the HDR screen also has PurColor. This is a great feature that puts individual optimization on every specific shade. It makes every picture look as bright and realistic as possible. Theres also and Upscaling Picture Engine so if youre watching an old movie with a lower resolution, this feature will enhance the image to make it look fresh and modern. 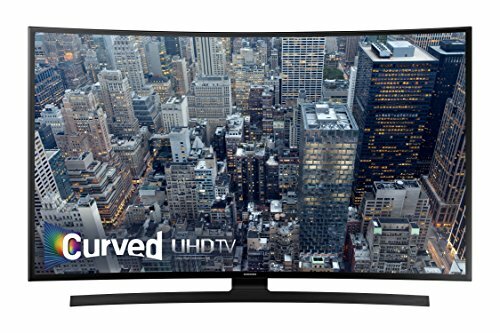 This UHD HDR TV is also a Smart TV and much like the other curved Samsung model, it has an Auto Depth Enhancer. + PurColor technology makes every color pop. + Upscaling Picture Engine so even old school stuff looks great. + Curved with an Auto Depth Enhancer, as immersive as can be. Why We Liked It - No real complaints on this 4K Smart TV either. Its smart compatibility and clear, colorful picture makes this TV ideal for HDR games and HDR movies. Samsung again?! I know you're not surprised. This is another 55-inch TV that offers you absolutely everything you could possibly want out of a 4K TV of this size. 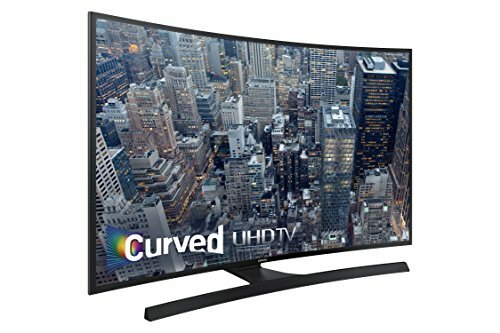 Looking for a smaller 4K? Try one of these fantastic 40-inch 4K Televisions. While surprisingly enough, it's not actually HDR, the picture doesn't suffer hugely because of this. This 4K Smart TV still has UHD and also has Full-Array LED backlighting. So you will still be getting some incredible contrast and very lifelike color. It also comes with UHD Upscaling, a feature that we've discussed before which works wonders on making low-resolution content look modern and beautiful. Youll have no shortage of inputs and outputs, theres plenty for both HDMI and USB. And once again the terrific combination of a curved screen and an Auto Depth Enhancer is on full display here. Its also a Smart TV of course and it comes with a Smart Remote that you can use for maximum control over the 55-inch TV itself and any connected Smart home devices. + UHD with both local Dimming and Upscaling technology. + Easy to use smart system complete with Smart Remote. Why We Liked It - Though the lack of HDR seems off-putting, this TV is still jam-packed with useful features that make it more than worth the money. In addition to Samsung which we've already featured pretty heavily on the first half of this list. LG is another one of the leading names in the field of 4K TVs. 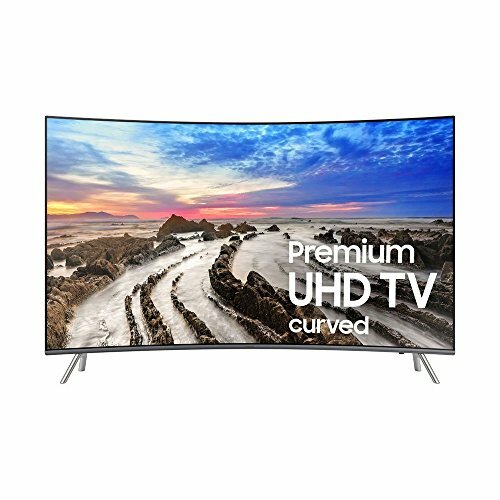 The big difference between this 4K HDR TV with a 55-inch screen size and the last few that we've mentioned is that this is a flat screen as opposed to a curved one. And while that may reduce its performance in terms of depth and immersion, there's still enough awesome features to make this a great choice. The big things being our favorite features like UHD and HDR. This 4K HDR TV also has True Color Accuracy, which is another color optimizing feature that will correct any form of color distortions and inaccuracies before they appear on-screen. This 4K UHD HDR TV has IPS technology too, which will allow for the accurate color scheme to be visible from all angles. And the fantastic WEBOS technology that LG's Smart TV's are known for is in action in this model too. + True Color Accuracy and IPS make the colors incredible. + WEBOS 3.5 is a smart system thats extremely user-friendly. 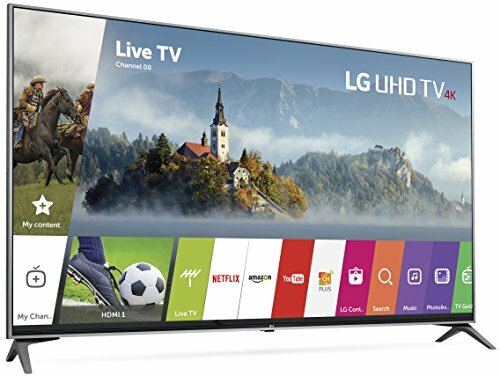 Why We Liked It - Everything that would expect from a top-shelf LG 4K UHD HDR TV is available in this product from it's a beautiful picture to its revolutionary smart TV platform. And this makes four Samsung TVs for our list. This is a great one too, with top-notch image quality. Everything we love about Samsung is present in this product so that means youre absolutely getting UHD. Its not actually HDR, but it does have PurColor and it has a Contrast Enhancer feature too to help make up for that. The Motion Rate is 120 but it does have Auto Motion Plus. A lot of people dislike this feature because it causes a motion smoothing effect that many feels look hyper-realistic and jarring. Its been dubbed the Soap Opera Effect because of this and so it might not suit HDR movies and TV shows all that well but if youre playing a high-intensity video game it could be useful to ensure fluid motion. You can always turn it off in the picture settings if youre not happy with it. Of course, this is a Smart TV too and is equipped with Samsung Smart View which is a visually pleasing, and user-friendly set-up. + PurColor technology with a Contrast Enhancer. + Samsung Smart View is reliable and useful. Why We Liked It - There are some minor issues but overall it's got stunning picture quality and has a very handy Smart TV platform. It's a Samsung TV so it's got an excellent picture quality of course. UHD out in full force and HDR too. 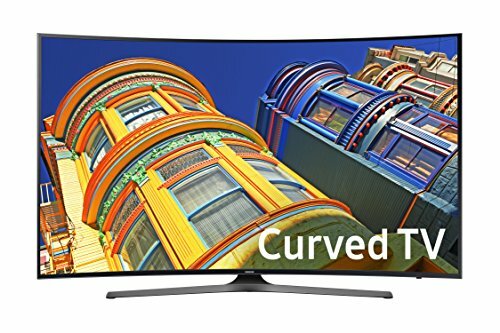 Unlike some of the other Samsung TVs on this list, it doesn't have a curved screen but this 4K Ultra HD Smart TV probably doesn't need it. There are other great features to talk about here. There's Triple Black Extreme meaning you'll never miss a second regardless of how dark the on-screen content and thanks to HDR it's also got an Expanded Color Depth which means that the contrast ratio will be sharp and realistic. 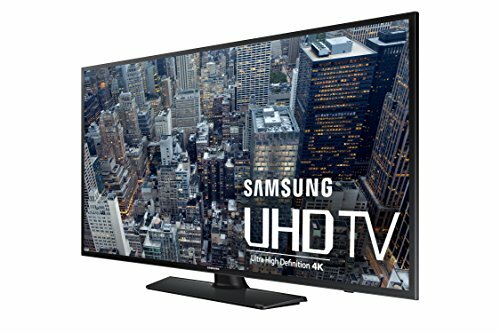 Unsurprisingly this 4K UHD HDR TV also a Smart TV and it comes with the Samsung OneRemote which is such a handy device. While this Smart 4K UHD TV may not be the best product on the list, it has a better Motion Rate than some of the higher choices. It's got Motion Rate 240 which as we discussed is the ideal system to have for HDR movies and HDR Game tech. + Expanded Color Depth and Triple Black Extreme. + Plenty of different inputs and outputs. Why We Liked It - This 4K HDR TV is yet another strong choice from Samsung which has many features that make up for excellent image quality. This 4K Ultra HD Smart TV is the first TV on the list that features a system known as QLED. Its still a regular LED screen, which means that it doesnt have quite the power of an OLED screen, but that Q in the name is important. The Q stands for Quantum Dot, which is what allows these LED screens to almost rival the display technologies of the next level up. The Quantum Dot technology means that the there can be an extra layer on the LED display, which makes up an even wider, stronger range of brightness. This 55 inch TV is also HDR too so that's an added bonus but it is lacking in a couple of areas. The Motion Rate is sitting at 120 which is a bit of a shame. Not to say that TVs with Motion Rate 120 are not powerful but for a system that has the advanced QLED TV technology, it would have been nice for this QLED TV to also be as fluid as possible with a higher Motion Rate. This 4K HDR TV is smart though and comes with the OneRemote and a nice range of inputs and outputs. 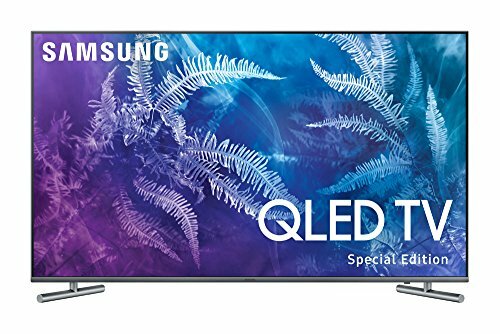 + The QLED feature of this TV sets it ahead of some other products. + HDR for awesome color. + Samsung Smart Hub and the OneRemote to keep you connected. Why We Liked It - It's worth it for the QLED display technologies if nothing else. Overall a very strong, if slightly flawed 4K TV. Yet another 55 Inch TV that has Quantum Dot capability. 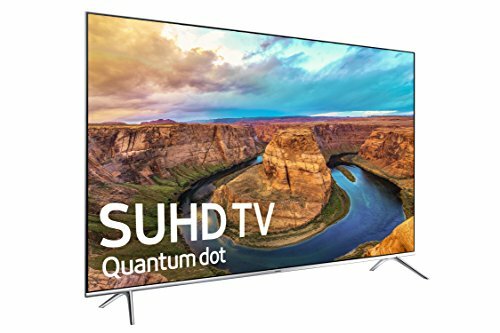 This Smart 4K UHD HDR TV is actually a SUHD model which is another step above regular UHD and with the Quantum Dot tech in there too so you can expect an amazing picture. 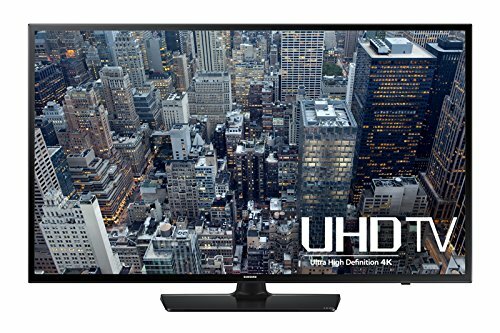 The Super HDR technology in this 4K Ultra HD Smart TV is HDR 1000, which is still actually HDR10 although somewhat more powerful and it has a feature called Ultra Black, which is quite similar to Triple Black in that it makes the darkest of images as clear and detailed as intended. 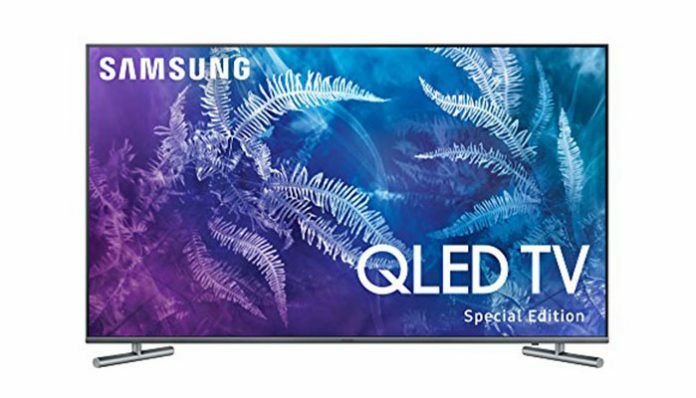 This 4K HDR TV is, of course, a Smart TV too and comes with the trademark Samsung OneRemote. Nice high Motion Rate too of 240. + Quantum Dot technology enhances the LED screen. + HDR1000 and Ultra Black. 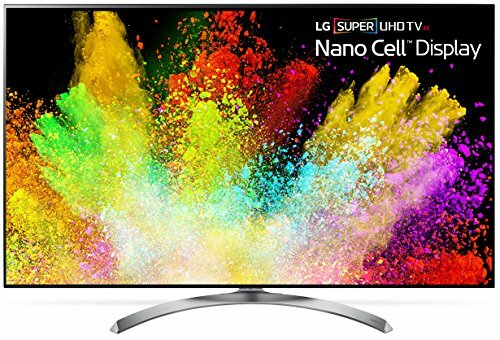 Why We Liked It - Picture quality wise, this Super UHD TV is pretty tough to beat with full Quantum Dot technology and HDR1000. The fact that's a Smart TV too is just an added bonus. I think it's a testament to just how many incredible choices there are out there that this is the weakest item on our list. The difference between this 4K HDR TV and our Top Pick is really not that huge when you analyze the 10 55 inch 4K TVs and this one even has some advantages of its own. It's UHD first of all so it still has a great picture and the HDR here is paired with a Nano Cell Display technologies. This feature is actually exclusive to LG and they describe as a breakthrough in LED technology. It focuses on enhancing the wide colors, similar to what a lot of HDR technology does, so we are not sure if we'd describe it as a breakthrough as such but the difference is noticeable. Another thing here that's exclusive to LG is, of course, WEBOS 3.5. 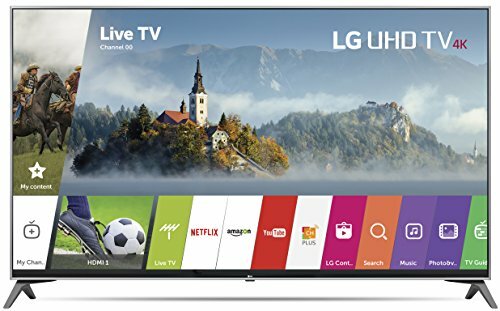 This brilliant smart platform is one of the best assets that LG has and it adds a very user-friendly feel to the Smart 4K UHD HDR TVs home theater menu. + Exclusive Nano Cell Display. + LGs popular WEBOS 3.5 smart platform. + A total of 4 HDMI ports and several more inputs and outputs. Why We Liked It - The Nano Cell Display is gorgeous and lifelike and the fact that its unique to this Smart 4K HDR TV makes it worth considering. There is a lot of 55 Inch 4K TVs out there and while they're similar in a lot of ways, each one of them has its own advantages and disadvantages. Some TVs are also going to be more in line with your personal preferences than others and always keep in mind that the right TV isn't the same for everyone. There are certain things that we think are essential for a high-quality 4K TV, and there are some things that are useful additions which may not be that important to you. So let's have a look through some of these different factors so that you can get a better idea of what you want to get out of your TV in our 55 Inch TV buying guide. Most commonly known simply as HDR, High Dynamic Range is a revolutionary technology found in the vast majority of popular 4K TVs. You've probably come across the abbreviation if you've been searching for a good 4K TV for a while, but if you're not familiar with what it actually does, allow us to clue you in. Basically, HDR will increase the range of brightness that the screen is able to display. Now, this doesn't mean that the picture will always be exceptionally bright, it means that no matter how bright or dark the images on-screen are, the resolution will not suffer. Everything will look realistic. As you maybe have noticed with non-HDR screens, if you're watching something that has particularly dark scenes, everything is murky and blurred. This isn't just because it's too dark for you to see any detail, but actually, because the screen is not actually capable of displaying any of said detail that the camera is picking up. With HDR this isn't a problem, an HDR screen will be able to optimize those darker areas of the image and ensure that every little thing is as clear and visible as it should be. With film and television production improving with every passing year, good televisions are becoming increasingly important. These advanced action cameras are picking up the most minuscule of details in every shot and you can experience it all with HDR. 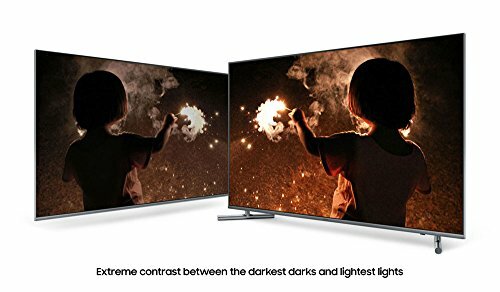 Usually, HDR will have a specific feature such as Triple Black Technology which is found in many Samsung TVs or Essential Black Pro to handle the darker stuff. Bright content is enhanced by HDR too. Youll often find with older TVs that you certain wide colors, the primary ones of red, blue and yellow usually, have much more clarity than any secondary shades. This would not be the case with HDR. Every single color gets optimization, nothing will look pixelated or washed out. This will ensure that the picture has a satisfying contrast and a realistic image. So in terms of film and television, live action content specifically, HDR pretty much has you entirely covered. But its important for gaming TVs too. The current generation video games have an animation that isnt far off in quality from animated films. And with a lot of them having massive, detailed environments that are intended to be carefully explored, its essential that you have a system which will highlight every inch of these environments. HDR generally comes in one of two types. HDR10 is the most common and then you have Dolby Vision which is a slightly superior version. Youll usually only find Dolby Vision in the most expensive TVs but the difference is not hugely significant. In fact, youre probably better off just getting a regular HDR10 or budget 55inch TV, especially if youre going to be using it for gaming. Playstation 4, PS4 Pro, Xbox One X and Xbox One S all use HDR10 as their output so getting a Dolby Vision TV for console gaming is actually counter-productive. Like everything that we'll be discussing in this section, whether or not you choose a TV with HDR is a decision that you will have to base on your personal preferences. We would recommend it, especially if you're getting a 4K TV anyway, but it's in your hands. When we say Motion Rate, what we actually mean is the refresh rate and response time of the images that appear on the screen. So essentially, if the Motion Rate is not particularly high, the resolution will probably suffer quite a bit during scenes that are fast-paced. If youre watching an action movie for example, and theres a car chase or a fight scene going on, things are likely to be moving pretty quickly. Motion Rate of 240 is the ideal scenario for content like this. 240 will be able to handle pretty much anything. So everything that we talked about in the HDR section, the high resolution, heavily detailed, and extremely lifelike imagery will still look good even if things are moving at a hundred miles an hour. 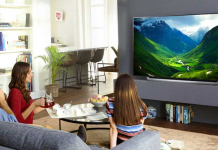 What youll come to realize about most of these 4K TVs, is that the companies producing them are very much aware of the issues that will arise if the Motion Rate is not high enough. You will rarely find a TV that has a Motion Rate lower than 120. As we said earlier, the ideal rate is 240, but 120 should still be good enough for most of the content that you want to experience. Youre probably likely enough to still encounter some problems especially in very action-packed scenes but said problems will be relatively minor. In a lot of cases, the bigger the TV, the higher the Motion Rate. With all of these TVs being 55 inches, there is a bit of a variety but a lot of them are still on 120. If you're a gamer, Motion Rate is probably even more important than it is for film and television. There are certain games out there that aren't full of fast-paced action scenes but for every one of those, there's probably like ten that are action-packed. You have games that focus on driving, shooting or just intense, exhilarating adventure. These types of games keep you constantly moving and the environment is always changing. You want these transitions to be smooth and you also don't want to suffer any input lag while you're playing. This is definitely something that could be a problem and if you're playing online it could be infuriating. For gaming, it really just isn't worth not picking a TV that doesn't have a good Motion Rate. LED is another term that youre likely to have come across before while hunting for a good TV but may not quite know what it means. LED stands for Light-Emitting Diode and its usually used as a backlight in TVs. 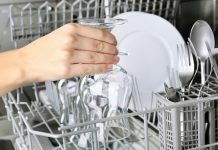 Not every single model uses them, but its a very beneficial feature to have. A strong backlight is very important for a good picture and LED is the best you can get in that regard. Most of them come with local Dimming Technology too which allows for specific parts of the screen to be dimmed and lit individually. So the lighting of an LED screen is usually superior to screens that don't have it, but there are TVs that take it even a step further. A newer type of technology called OLED, with the O' standing for Organic, is present in certain TVs and blows LED out of the water in a couple of ways. The OLED TVs are much smaller and much more flexible. They're so small in fact, that they can be used as individual pixels of which millions will occupy the screen. They will light up and shut off independently of each other, like regular LED TVs, but on a much wider scale. This makes OLED TV screens quite superior when it comes to elements such as response time and viewing angles. The best viewing angle for LED TVs is in the dead center whereas with OLED TV screens having so much more range, pretty much any angle is perfect. Currently, the only company actually producing TVs with OLED TV screens is LG so you wont find it in many of the choices on this list. Similar to what we said about the difference between HDR10 and Dolby Vision, its not absolutely essential to get an OLED TV screen, but it may be something you think is worth the extra money. Much like smartphones have become the norm, it wont be too far into the future before Smart TVs become the norm too. If youre getting a 4K TV, it doesnt seem all that worth it to us not to go for one with smart compatibility. Now, of course, thats entirely up to you, but with there being so many advantages to Smart TVs and most of the choices having a smart platform anyway, theres very little justification not to go for that option. With streaming devices and services rising and traditional cable becoming somewhat obscure, its important to have quick access to these streaming devices. Now while you have to have an account on sites such as Netflix, Hulu and Amazon Prime (great on Prime Day) to be able to use them, the apps themselves cost nothing and are usually readily available from the home menu on most Smart TVs. Any other streaming service that you'd be interested in should be very easy to download from whichever online store the particular TV you have operates with. 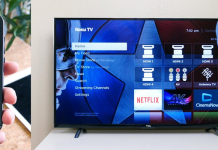 In addition to that, Smart TVs can be connected to any other device and so any videos or apps that have the cast' function can be sent directly to a Smart TV and displayed from there. You can also usually get a wide variety of different apps and services online that can be used on the TV. This can range from news channels, sports channels, games and a whole list of things. It's basically like browsing through the App Store on a Smartphone, there are always new and useful things to find. Some companies have their own specific smart platform, the most notable of which is probably LG's popular WEBOS technology. A system like this will make every app and every device that's connected easily to access from a Live Menu. You probably don't need to worry too much about this because pretty much every TV has a strong variety of inputs and outputs anyway, but it's still worth looking out for. You'll probably want to have 3 or 4 HDMI ports for games consoles and cable boxes and then a couple of USB ports as well so you can plug in something like an external hard drive. Most 4K TVs will have these so it's if you're looking for something else that you need to keep an eye on this. If you want a composite port so that you can plug in an old VCR or DVD Player be aware of that because not all of them have one. And in some cases, there isn't a headphone jack so if that's important make sure you check for it before buying. We've probably said it hundred times at this stage but it's important so I'll say it yet again. This is your TV so regardless of how much we've recommended a particular feature, make sure the decision is based on your own desires. Everybody is looking for something different and everyone has a different budget so go for whatever suits you. It'd be worth your time to think about each of these different factors we've mentioned individually and decided how important it is for your TV to excel in a specific area. Want to spend less than $1000? 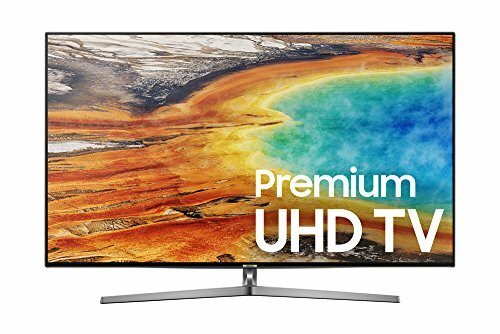 Try these great 4K TVs under 1000 dollars. Decide if there is anything that's absolutely essential and if there's anything you don't really need. Doing this should give you a good idea of which of the 10 products we've talked about, best suits your preferences. As you can see, there is a lot of high-quality choices and there is almost certainly one that's right for you. While you might not want to shell out for the generally very expensive OLED TVs, they are quite a bit more energy efficient than LED TVs so they could end up saving you a bit in the long run. Despite being one of the current generation consoles, regular Xbox One systems do not support HDR. You can still play them on an HDR TV but they won't look as good. Xbox One X and Xbox One S do support HDR, however.